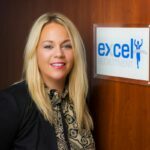 We here at Excel Recruitment are currently looking for passionate and experienced Grocery Managers for our client in the Galway, Sligo, and Mayo areas. The ideal candidate will have previous managerial experience in a busy and demanding retail environment. This is a fantastic opportunity for an Assistant Manager or Grocery Department Manager to step up in their career. Our client is one of Ireland’s most significant retail groups in the country. The store manager role comes with a salary between €28k – €38k DOE.